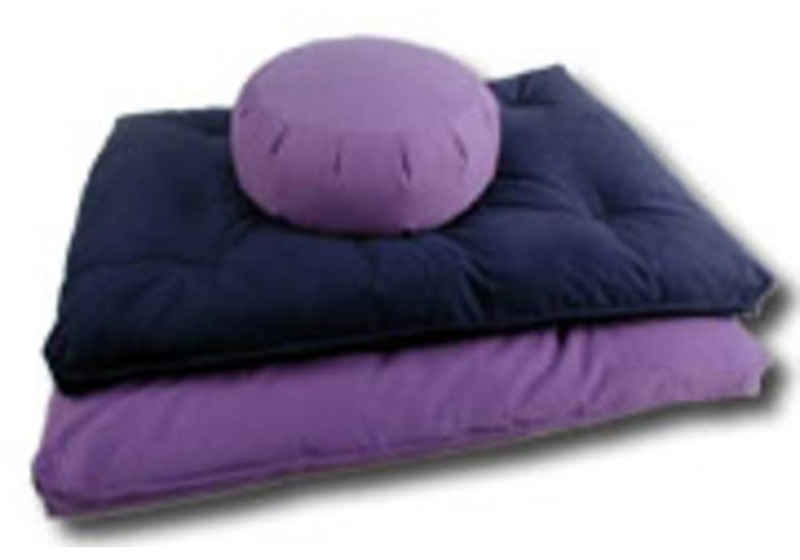 Our comfortable and supportive Zafu Pillow provides better spine alignment and proper height for a more comfortable and deeper meditation. Make sitting meditation easier on your knees and ankles. Our buckwheat hull filling gently conforms to your body's shape and is wrapped in a strong, pure cotton twill shell (our natural colored Zafu is untreated and unbleached). 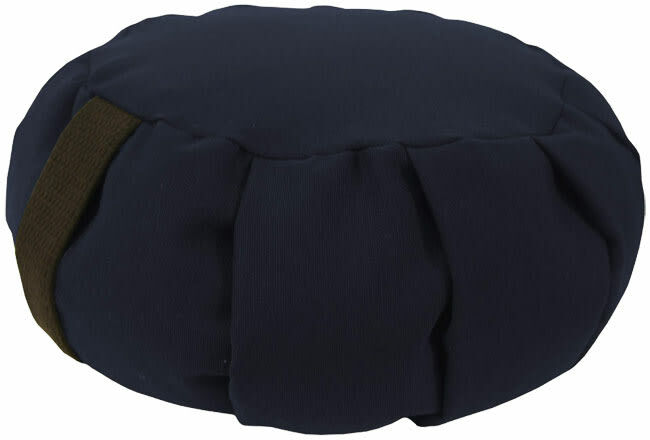 Our mediation Zafu cushions are a supremely comfortable resting place from which to embark on the meditative travels of the mind/body. Available in Round or Oval shape. The buckwheat hulls filling is made of small buckwheat shells that mold and conform to your body extremely well. Non-Colored Natural is untreated and unbleached cotton, except for black cotton handle. Colored fabrics do not use natural dyes. 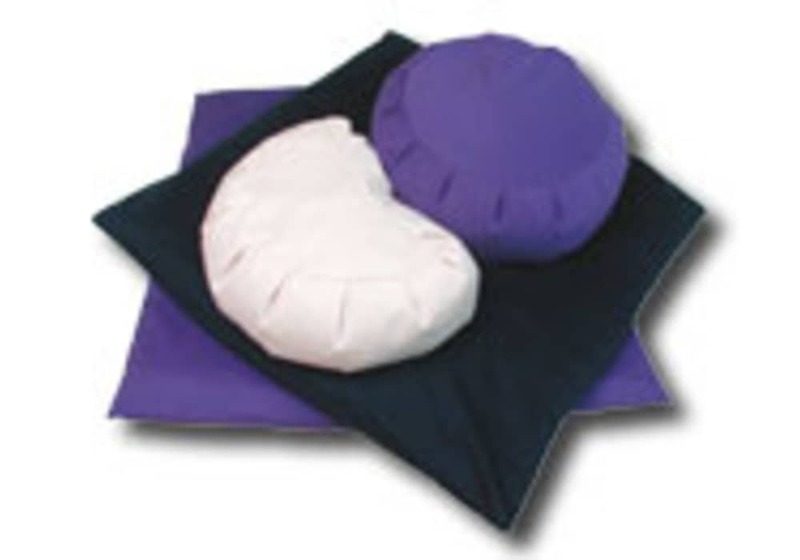 Zafus work better on top of our traditional meditation Zabuton mat. 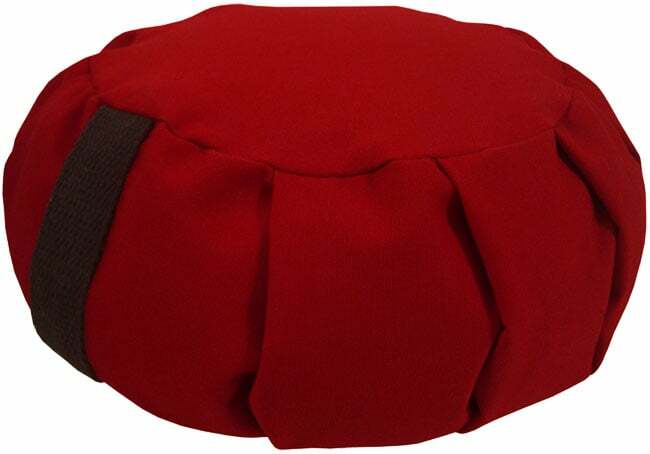 The all natural Zabuton mat is handmade from chemical-free "Green Cotton", 10oz. duck for its shell and stuffed with pure cotton batting to provide a cushioned surface for your ankles and legs for stress-free meditation. 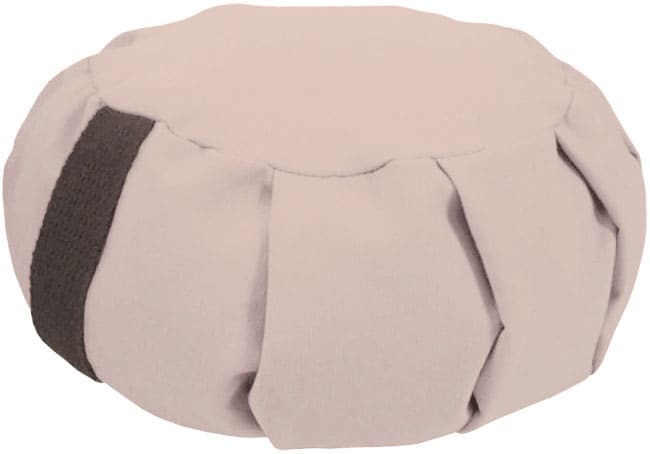 Our Zabuton floor cushion has a natural cotton shell (untreated and unbleached cotton, natural off-white color) and comes with a removable cover in various colors (colored covers do not use natural dyes). Size: Approx. 26" x 32" x 3"